Big Sky Montana is a beautiful destination just outside Yellowstone. 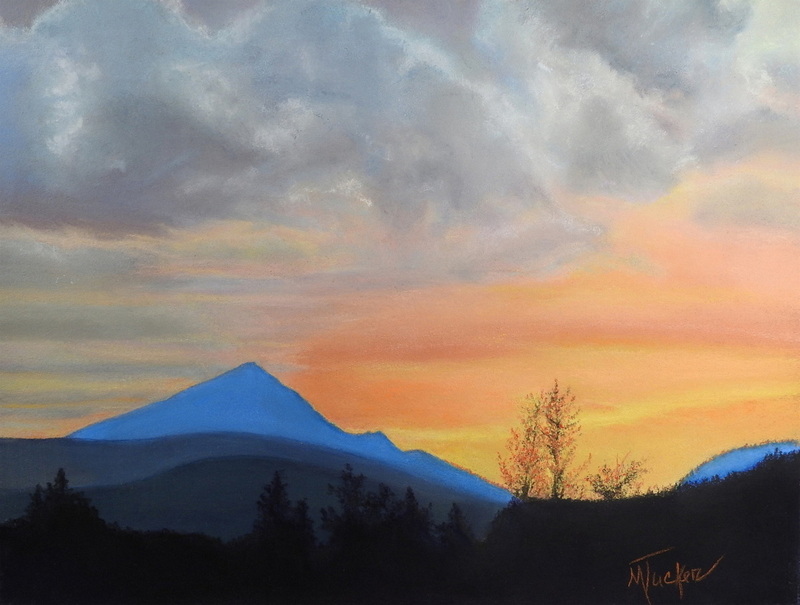 Said to have one of the highest peaks in Montana this was painted from a photograph of that mountain range on a cloudy scenic evening as the sun was setting. With many layers of mountains one small group of trees seemed to be on fire from the setting sun. The blue of the large mountain was as vivid as it is in the painting. 5" x 6.5"6" x 8"7" x 9.25"8" x 10.5"9" x 12"9.25" x 12.25"